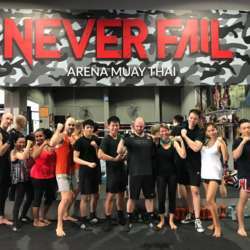 You must be a member of the Singapore Boxing & Muay Thai Group to attend this activity. Would you like to join this group? Join us in our boxing workout in a fully equipped boxing gym and improve your fitness levels. Learn proper technique and find out how boxing can enable you to gain strength, enhance stamina, endurance and lose weight fast! Come in your normal gym wear, bring water and towel, gloves are provided if you don’t have. Kindly Whatsapp or SMS (by 3pm) Coach Indrek at the above number (click "attending" to see it) to confirm your attendance, so we can reserve you a slot. We have a professional coach leading the session, fee is 25/ session.